De novo gene synthesis is rapidly emerging as a highly powerful molecular tool to generate any desired DNA sequence. Artificial gene synthesis technologies do not require preexisting DNA templates, which is becoming pivotal to explore accumulating genomic and metagenomic information. This powerful technique is changing established paradigms within the recombinant DNA technology field, in particular for heterologous gene expression, vaccine development, gene therapy, enzyme discovery and molecular engineering. So, a new Era of Molecular Biology is emerging and NZYTech’s R&D team is currently developing novel solutions within this promising new field. At NZYTech we have developed a gene synthesis approach that allows you to efficiently synthesize DNA molecules in your laboratory. 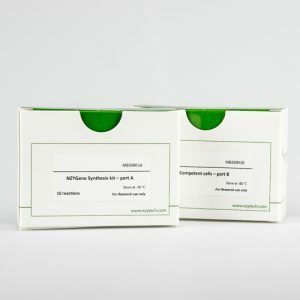 This simple approach, provided by the NZYGene Synthesis kit allows producing artificial DNA up to 1 kb, and includes all the reagents necessary to perform gene synthesis reactions from oligonucleotide assembly to gene cloning and transformation. 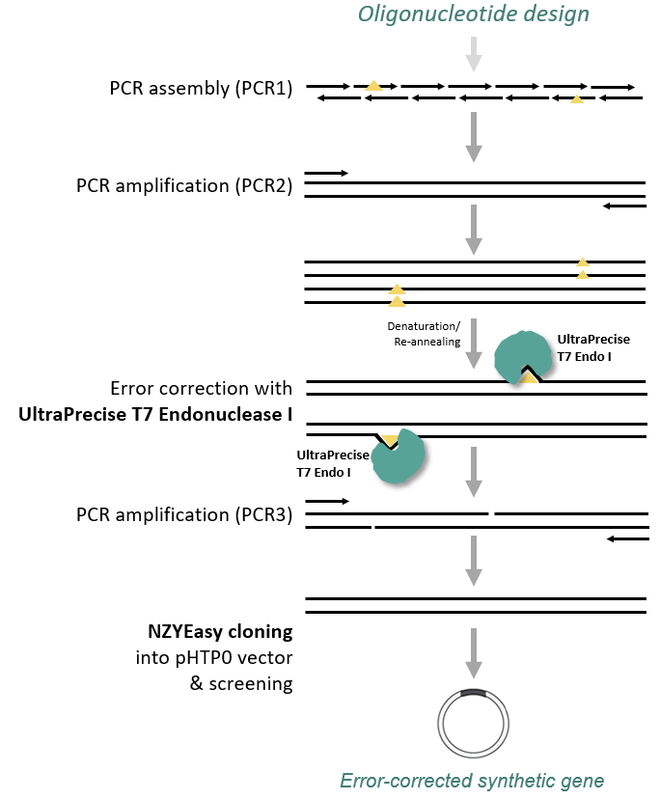 The gene synthesis workflow includes an error correction step using the UltraPrecise T7 Endonuclease I allowing to increase the probability of isolating a synthetic gene with a correct sequence by 4-8 fold. 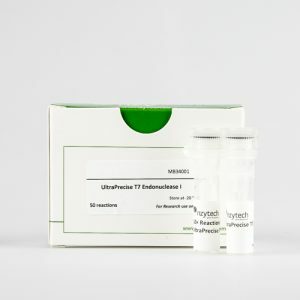 We also provide the UltraPrecise T7 endonuclease I as an individual product. This Phage T7 endonuclease is highly efficient in recognizing incorrect impairments of double DNA strands and removing them.